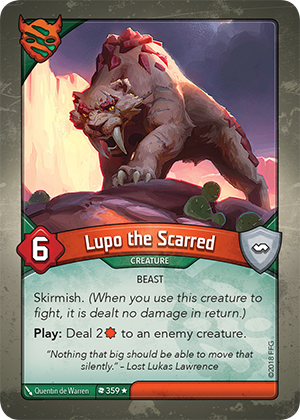 Card Text Skirmish. (When you use this creature to fight, it is dealt no damage in return.) Play: Deal 2 to an enemy creature.